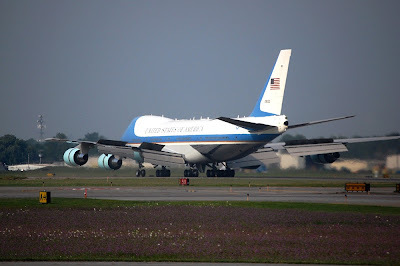 The last installment of 'BuffaloWingz' brought you, the readership of half a dozen or so, coverage of the arrival of 'Air Force One' at Buffalo Airport in Western New York. 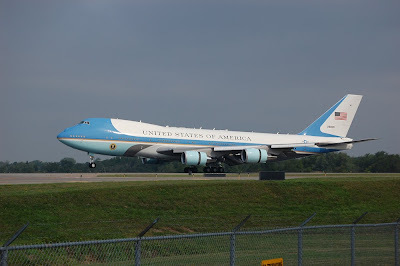 Today's installment covers the earlier arrival on that same day of another bird which brought a buncha folks who would cover the aforementioned arrival of 'Air Force One' and subsequent events of the day for a much broader audience. 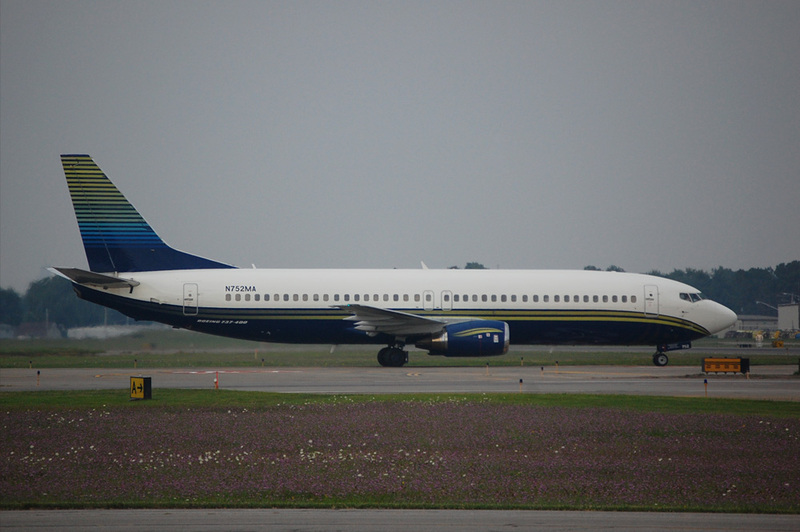 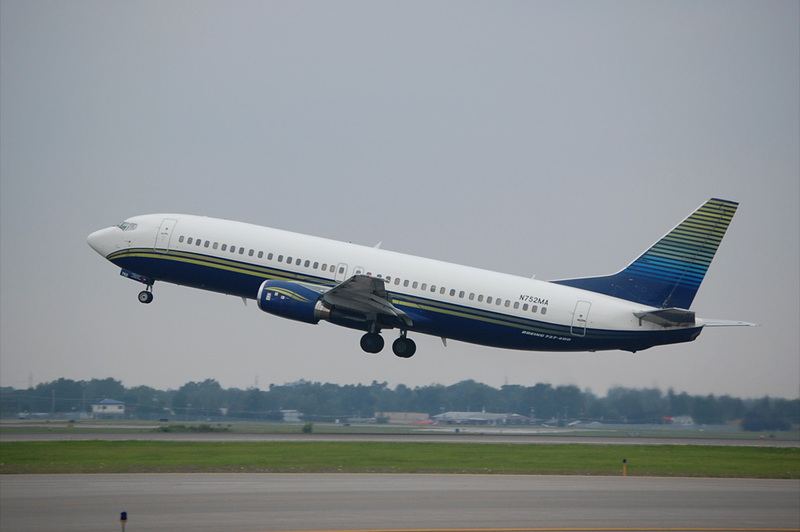 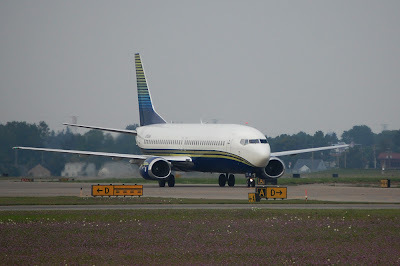 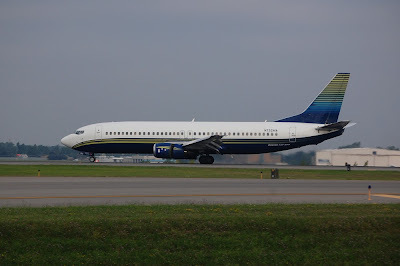 This charter jet, a 737-400, is owned and operated by Miami Air International. MAI is often contracted by the USAF Air Mobility Command for troop and cargo transport. 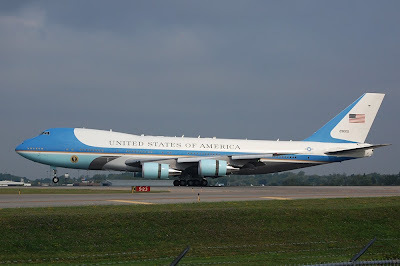 On this occasion, they had apparently brought in some media folks to cover the President's visit to Western New York and subsequent bus tour across the state. 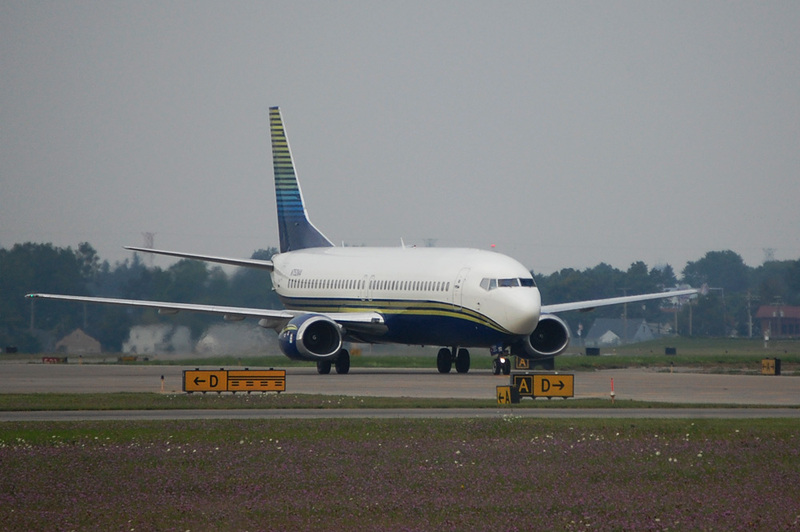 In this first shot, we see N752MA just after touching down. 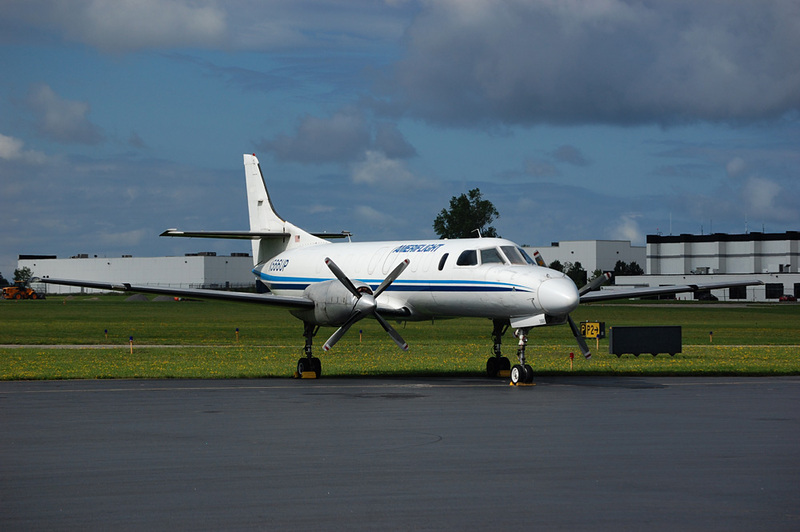 She would eventually come to rest and offload her passengers at Prior Aviation, in front of the large hangar in the right background of the photo. 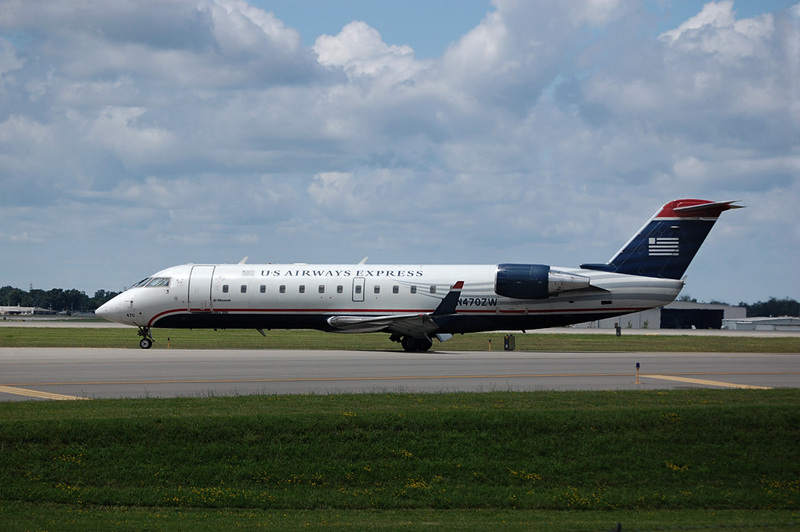 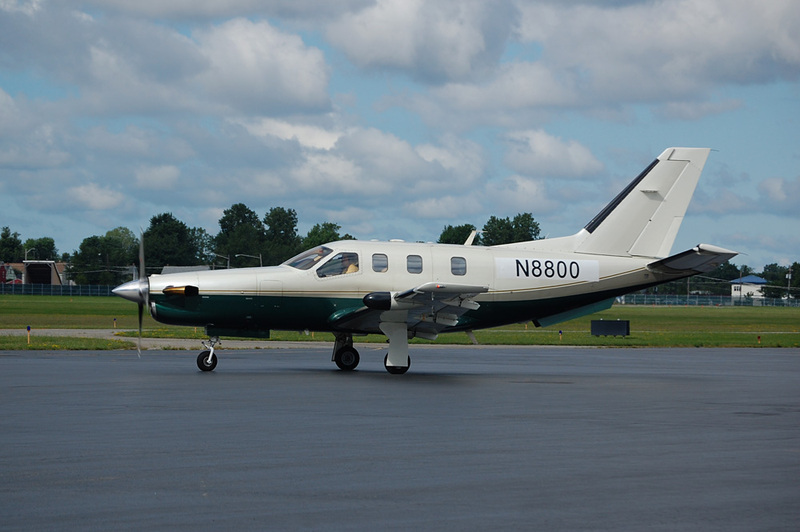 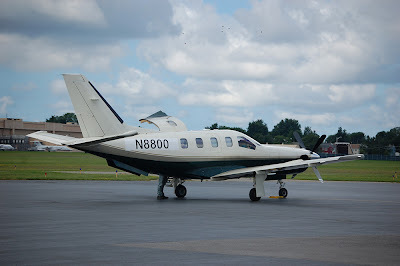 As a side note, for any music fans, back in 2010 this very jet was chartered to transport Paul McCartney and his band from Miami, Florida to San Juan, Puerto Rico during Macca's 'Up and Coming' tour. 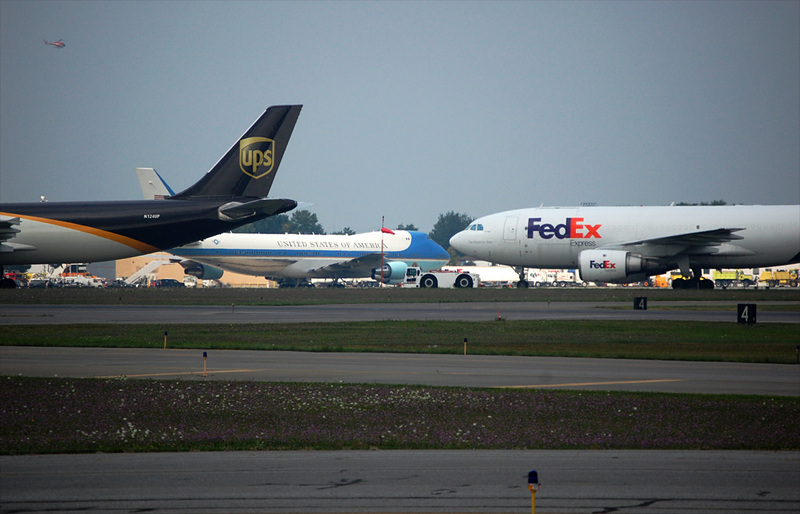 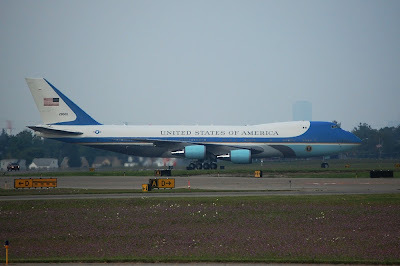 On August 22nd, 2013 President Obama visited Western New York, and your blogmeister was on the spot to capture these snaps of 'Air Force One' upon its arrival at Buffalo Airport at approximately 10:15AM. 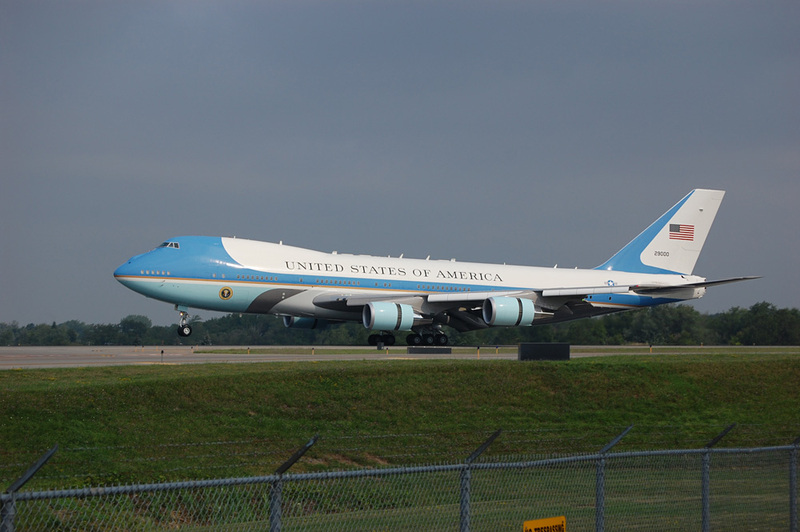 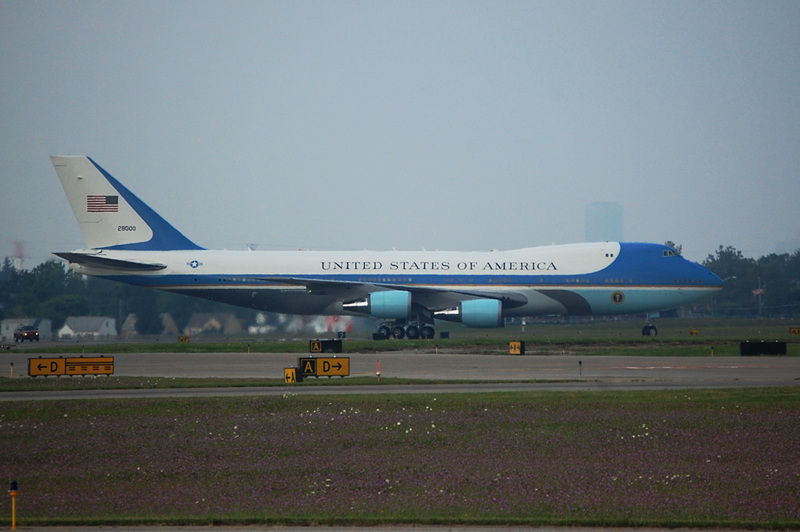 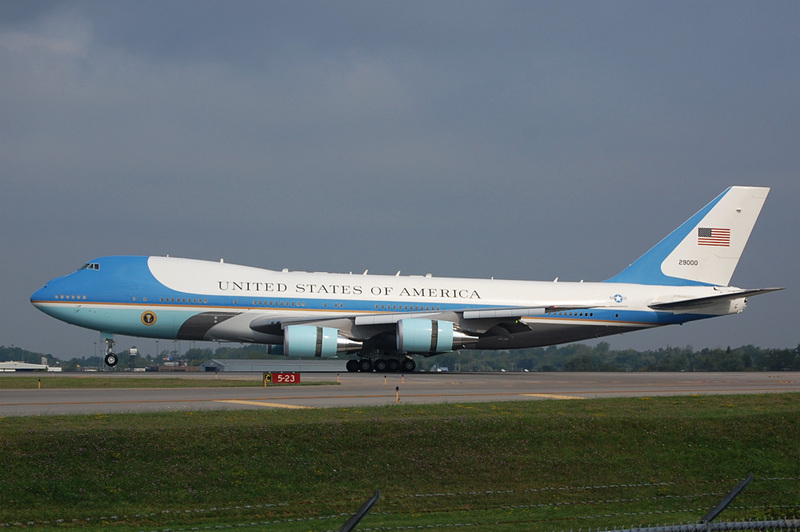 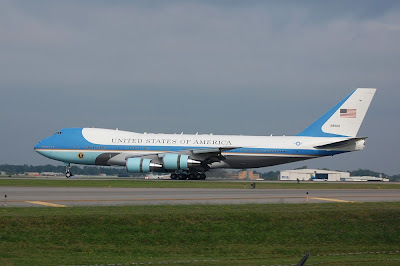 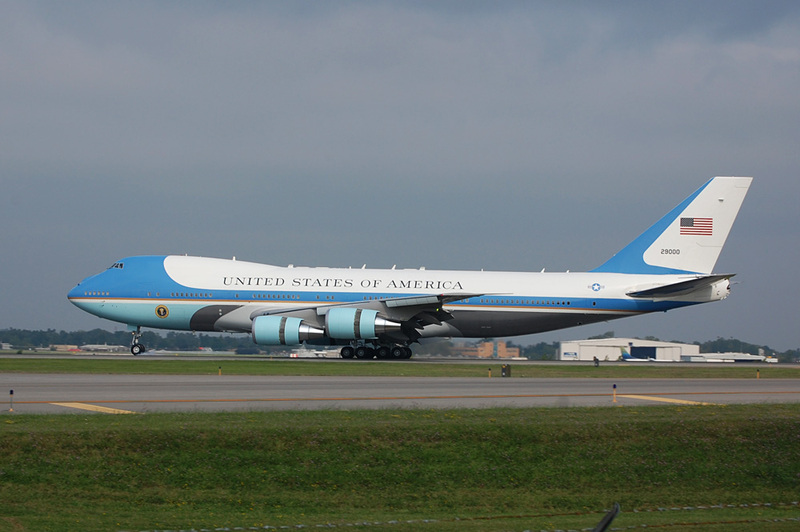 The Presidential chariot is a Boeing VC-25A, a highly modified 747-200B. Two VC-25As were manufactured, their original serial numbers being 86-8800 and 86-8900, later changed to 82-8000 and 92-9000, respectively. 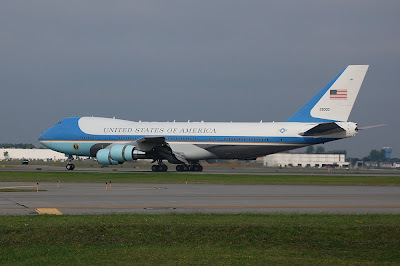 Both jets are maintained and operated by the Presidential Airlift Group, 89th Airlift Wing, based at Joint Base Andrews (formerly Andrews Air Force Base) in Maryland. 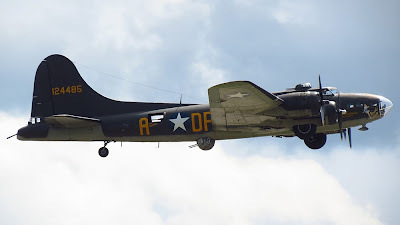 Alrighty... a long time ago, in a galaxy far, far... no, wait. 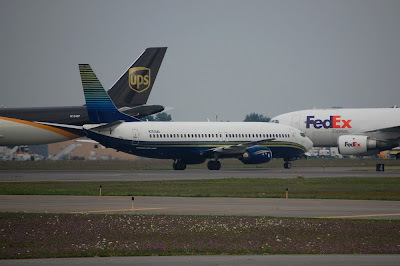 Wrong blog. 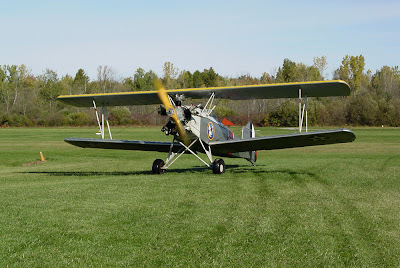 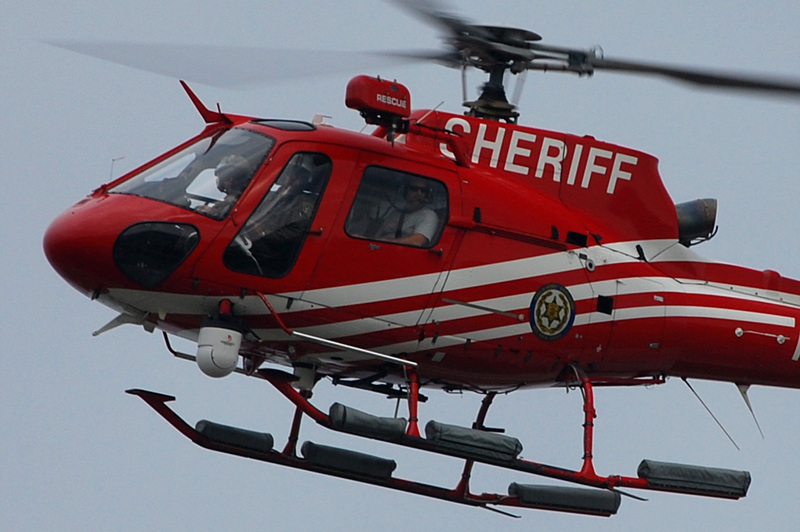 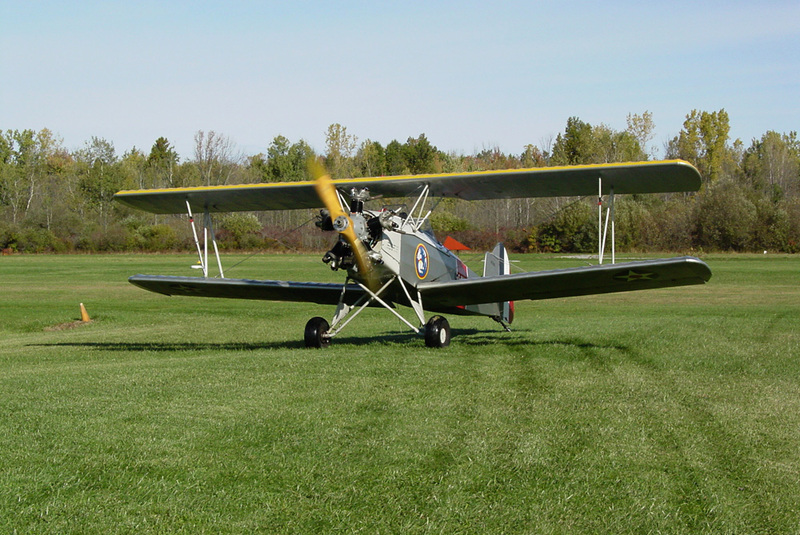 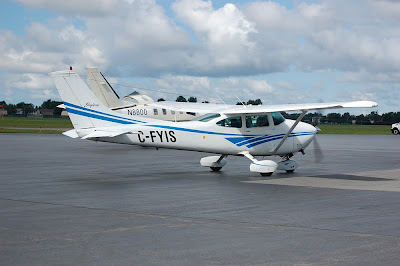 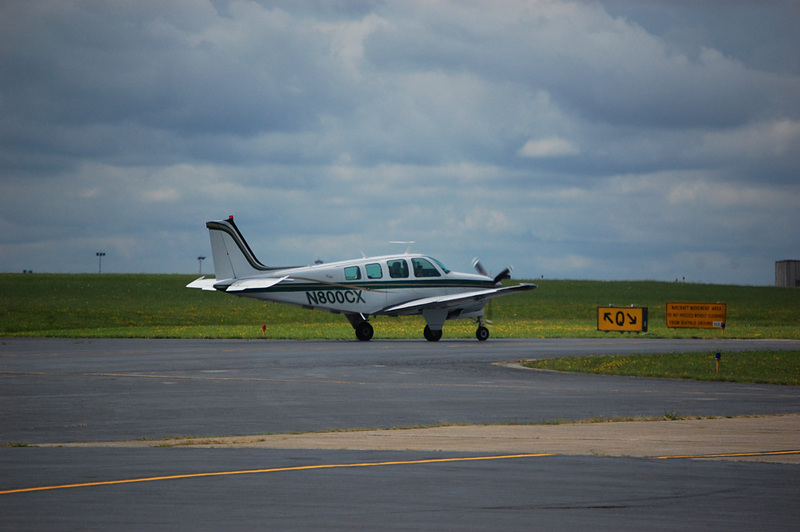 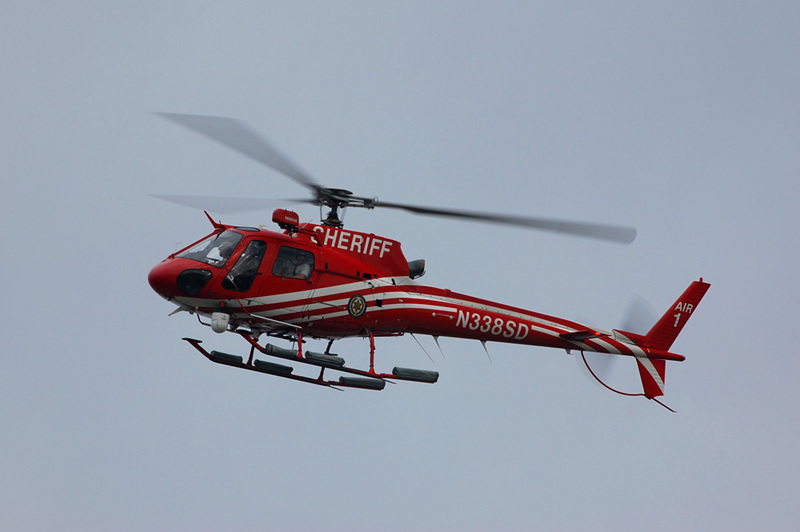 Sometime back we shared a neat shot of a groovy little airplane made by Fleet Aircraft of Fort Erie, Ontario, Canada. 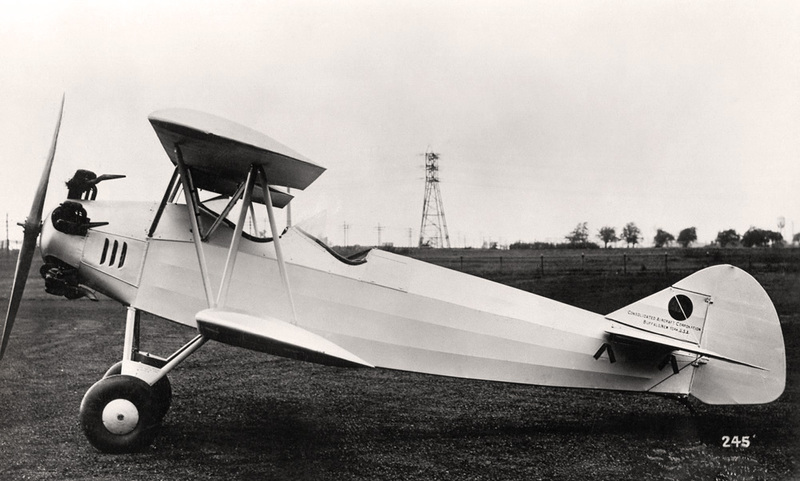 Fleet was an offshoot of Consolidated Aircraft Corporation of Buffalo, NY and a number of designs previously manufactured by the latter were also produced by the former, albeit under different designations. 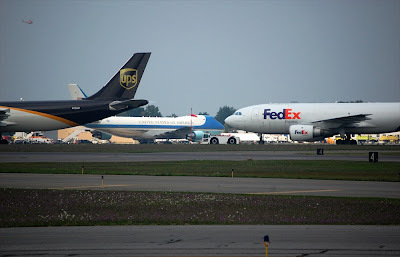 Eventually Fleet was acquired by Consolidated... quite frankly, your blogmeister hasn't really looked into all the particulars of this Consolidated/Fleet tangle, and he currently has a hard time distinguishing one type from another, more often than not. 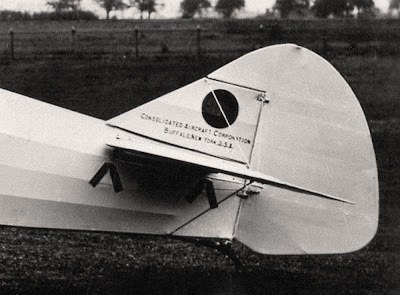 But he really digs these little flying machines. 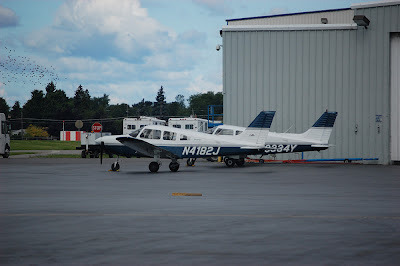 Pipers and Beechcrafts and Cessnas, oh my! As was reported in our last installment, your blogmeister spent half a day or so at the Buffalo Airport this past weekend to say hello to an old friend. 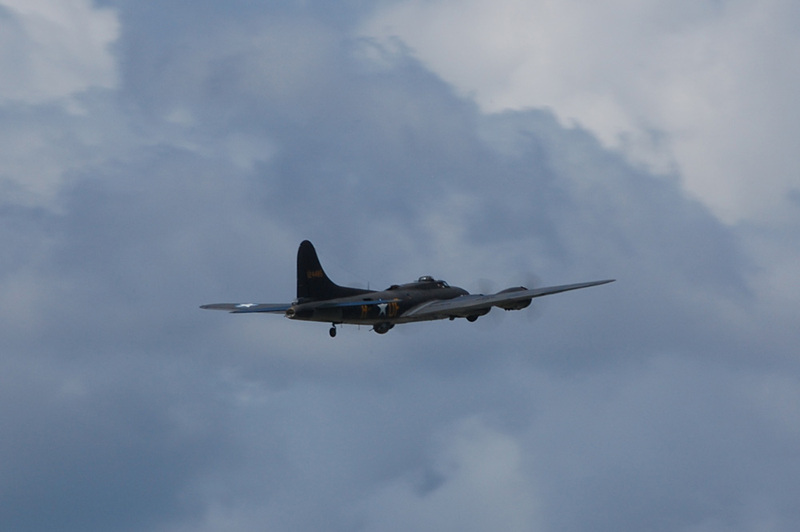 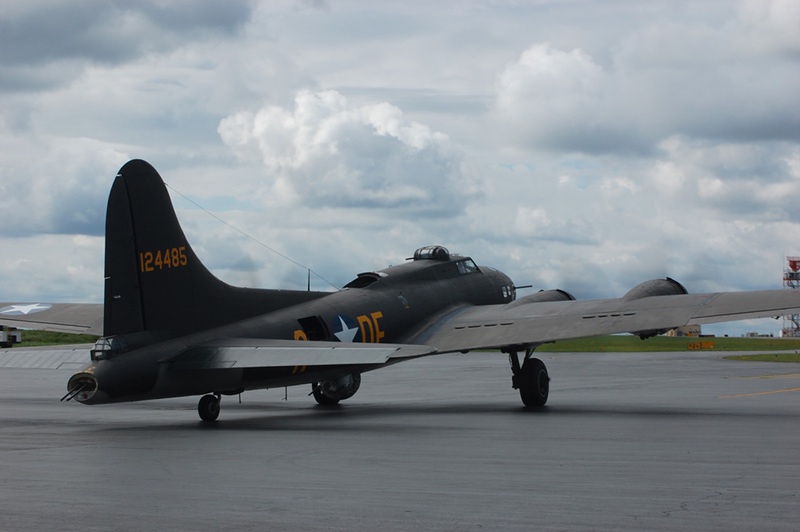 But there was plenty more to see than a big 'ole OD and gray B-17. 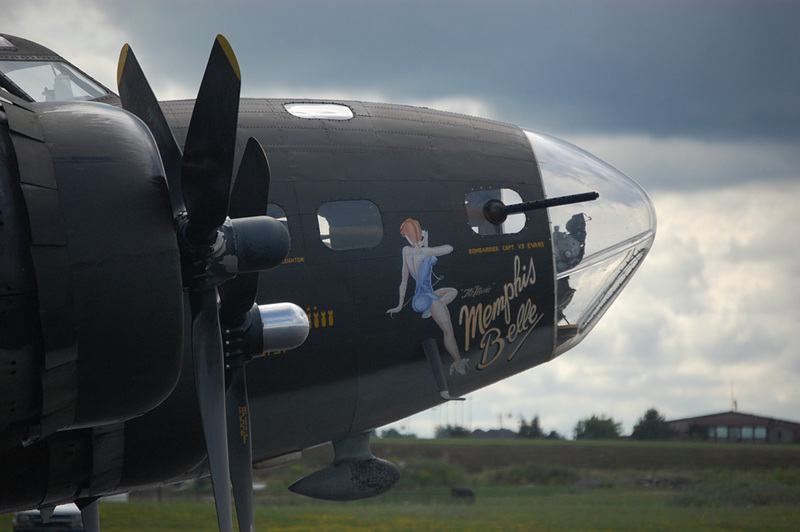 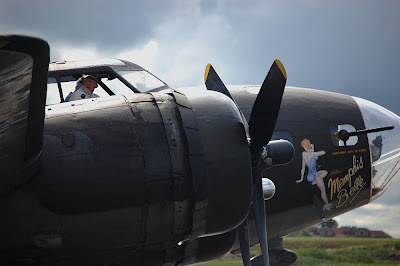 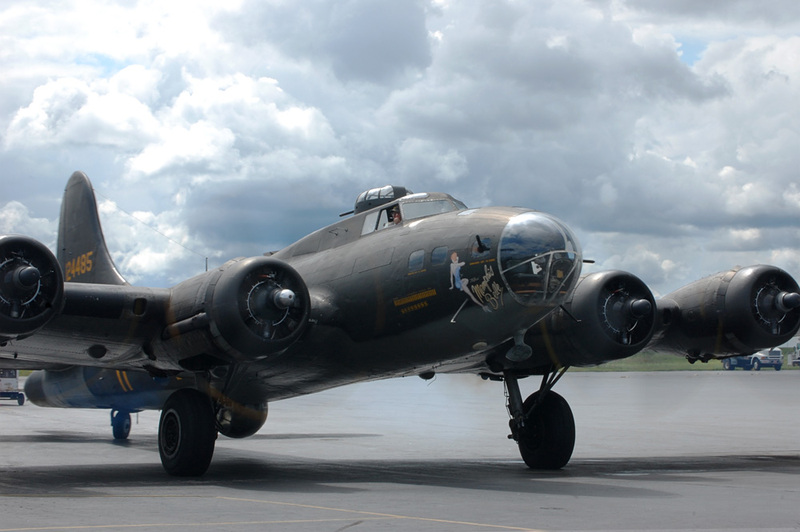 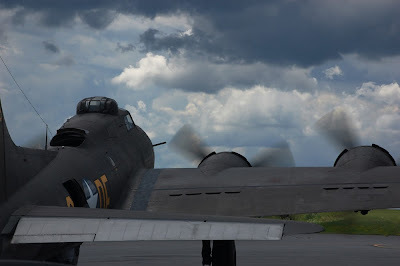 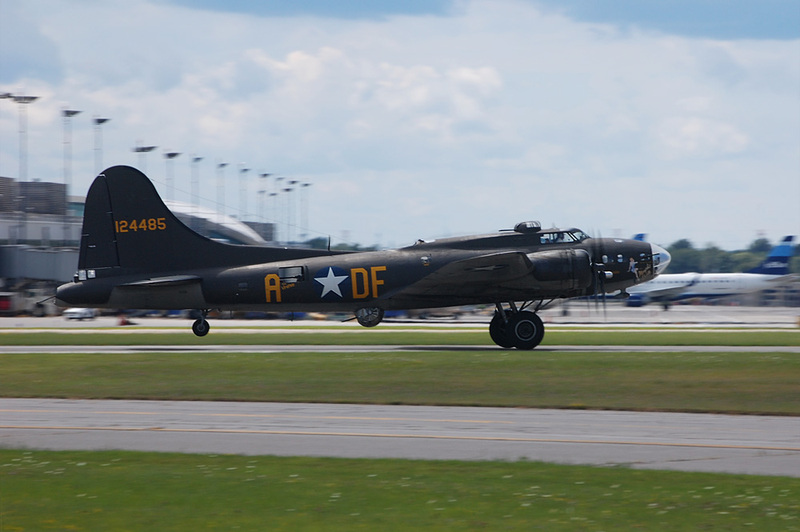 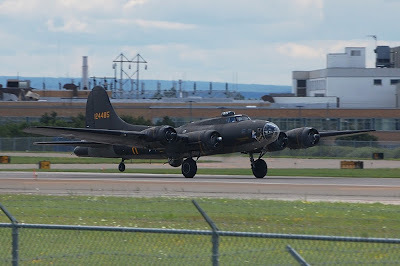 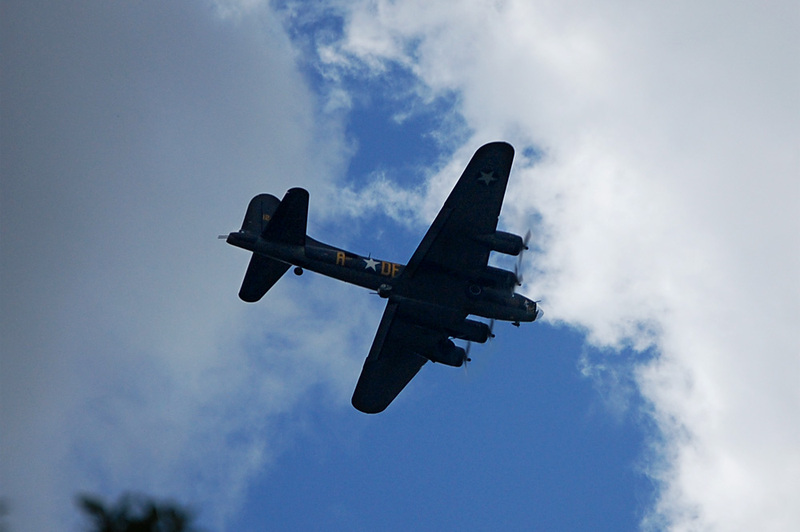 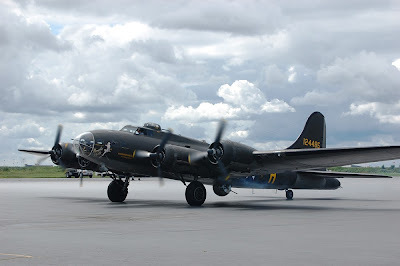 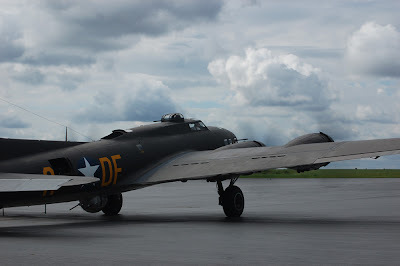 'The Movie Memphis Belle' was back in Buffalo, NY this past week. 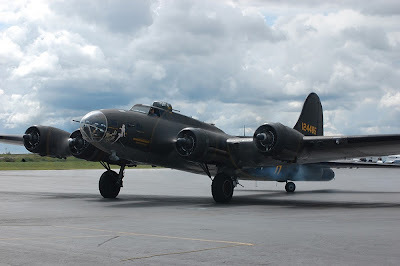 As some of the half-dozen or so whom we call our readership may recall, the 'Belle's last visit to KBUF was reported here on this very cyber-rag, but on that occasion your blogmeister was not able to stick around for very long and we had only a few photos to share. 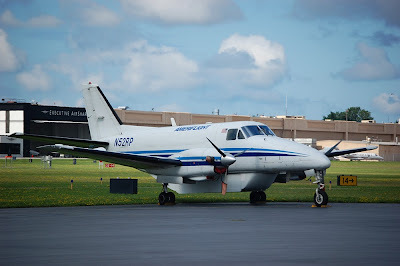 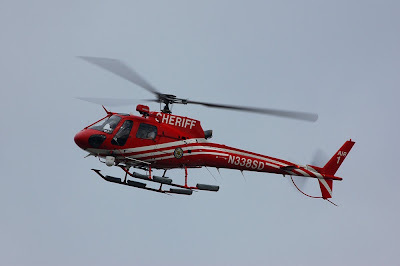 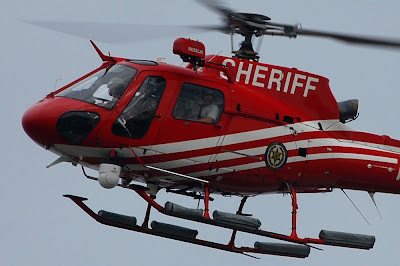 Well, this time 'round he loitered on the ramp at Prior Aviation for a bit longer and even meandered on over to a prime spotter's roost with a friend, and was able to grab a few decent shots... many more than last year. 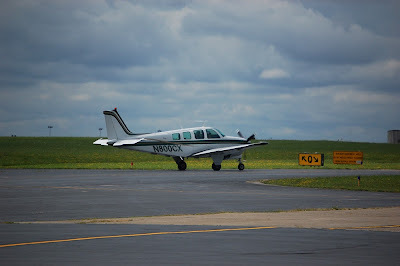 Without further adieu, here they be... enjoy!